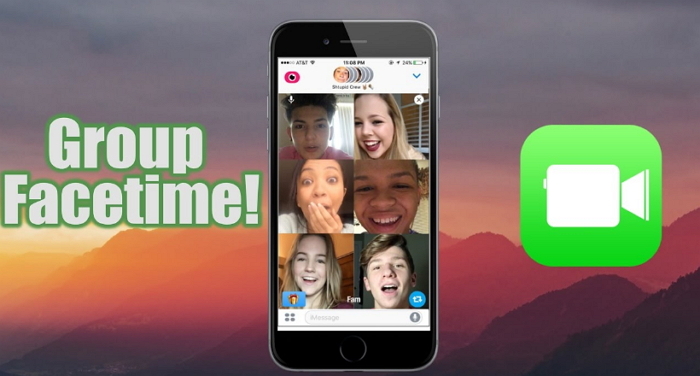 This is an app that allows you to make group FaceTime calls on your iPhone or iPad. It has a very simple and easy process that you can follow to start having long and endless conversations with your friends. This is a wonderful app that allows you to have as many as 32 people in a group that you can call and text. This way you can just use a video call to speak to all the people you want at the same time. 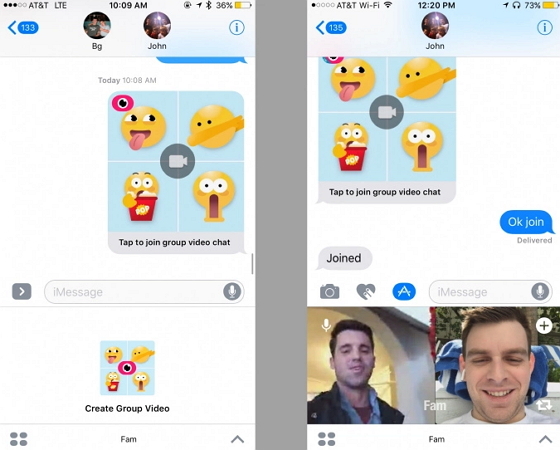 It comes with many fun features like the Animoji, filters and stickers that make group FaceTime calls in iOS 12 a fun experience. It is also supported by both audio and video. You can use this FaceTime app to begin group conversations in messages on your iPhone or even join an already existing group. In this article, we delve into more details on how you can start using the FaceTime app in your iPhones to make group FaceTime calls and group messages. If you have many friends that own an iPhone, it becomes very easy to use the FaceTime app to make group FaceTime calls in iOS 12 to your friends. You can have fun with endless conversations and debates. Below is the procedure you need to follow for you to start making these calls. Step 1: Go to your iOS device and launch the FaceTime app. Step 2: On the top right corner of your iPhone, click on the ‘+’ button. Then enter the name or phone number of the person you are calling. This app allows you to add as many as 30 additional contacts of the people you like having long conversations. Step 3: You can then click on video or audio to make the call. Then click on the red X button at the bottom of your phone to make the call normally. 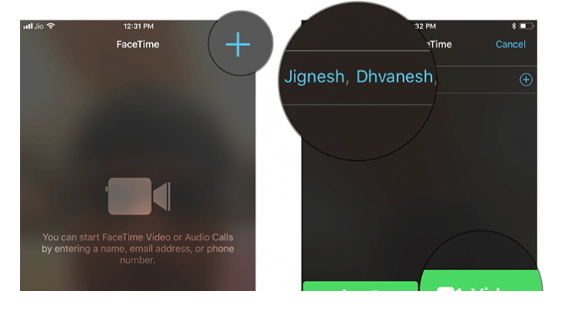 You are now able to have long conversations with your friends using FaceTime. It is very simple to make group FaceTime calls in iOS 12 using messages on your iPhone. Starting a group conversation with your friends and family can now be easy using the FaceTime app. There are a few steps you need to follow for you to make group FaceTime calls on iPhone using messages. Step 1: On your iOS device launch the messages app then select group conversation. Step 2: Then click on the group name at the top center of the iPhone screen or even create a new group. Step 3: Then click on the FaceTime icon on your iOS device. You are now in a position to communicate through messages to all your friends in the group. The FaceTime app is also compatible with MacOS devices. You just need to follow the simple steps below to be able to use your Mac device to make FaceTime calls to your friends. Step 1: Go to your iPhone or iPad and open the FaceTime app. Step 2: You then need to enter the name and phone number of the person you want to call. Step 3: At this point you can enter a maximum of 30 phone numbers of friends and family and don’t forget to include the people you like having long conversations with. Step 4: Then tap on audio or video to make a FaceTime call. 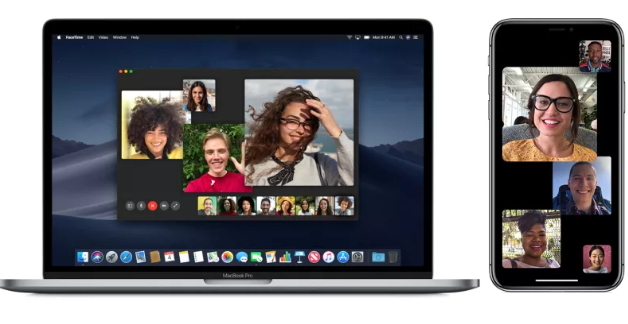 You and your group friends can now have endless conversations using this FaceTime app on your Mac device. This are fun new visual effects that iOS 12 has added to FaceTime. These visual effects are not specific to group chats but they make chatting with your friends enjoyable and fun. You can choose to have fun using the available stickers when chatting with your friends. There are also photo filters of cartoon characters you can use or even animoji that can make your group FaceTime calls in iOS 12 with your friends a fun experience. You can experiment and find new ways of using these new effects that will make your group chats interesting. The FaceTime app is a fun and interactive way of keeping in touch with your friends and family without having to keep calling one at a time. You can use this app to make group FaceTime calls in iOS 12 and send messages to all your friends that are in your group. You can now talk to all your friends no matter where you are using this app provided your friends have an iOS device. The good thing about this FaceTime app is that it allows you to even join already formed groups and join in the conversation. This app makes it very easy for you to stay in touch with friends and family. iPhone Camera Blurry after Update iOS 12, How to Fix?